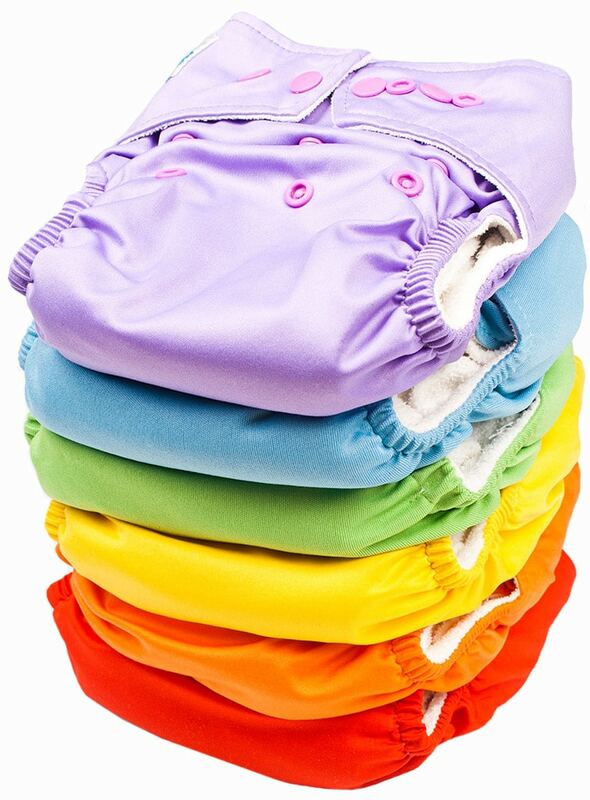 Laundry Box provides a tailor made cloth nappies service with our custom biodegradable insert, allowing for solids to be easily disposed of without the waste of common disposable nappies. They are easy and simple to use, very comfortable for baby, and we can collect and deliver fresh nappies to you every week. Cloth nappies don’t use toxic absorbent gels and in fact reduce nappy rash compared with conventional nappies. The super absorbent liners are designed to be easily removable, ensuring a quick clean up and in turn offering less wastage at our rubbish tips. In our nappy packs you’ll receive a set of outside nappy covers which allows plenty of room for baby to move, they are easy to wash and re-use and we can supply fresh ones to you in the next delivery run. Included with the covers are a batch of cotton refolds and our bio-liners that are to be used with each nappy. Just place each liner inside the cloth nappy and that’s it. The liners are comfortable for baby and will not irritate the skin, they will prevent nappy rash and reduce smells. Like you, Laundry Box wants to make a difference to the environment. Disposable nappies send 700kg of waste to landfill per baby each year, leaching toxic chemicals for a very long time. Our cloth nappies are healthier and more comfortable for baby with more breathable fabrics. Longer term you’ll be spending much the same as you would with disposable nappies, but will be making a massive contribution to reducing landfill. And will the added convenience of our pickup and delivery service, now is the time to give reusable nappies a go. Are modern cloth nappies as much work work as they seem? Modern cloth nappies are shaped like disposable nappies, do up in the same way with snaps. They are extremely absorbent and don’t require changing more regularly than disposables – every 3 hours or so. There’s an easy five-step technique called dry pailing, which make light work of heavy soils. Firstly, use flushable liners to catch solids. Tip your flushable liners straight into the toilet! Put them into a bucket with a lid. Sprinkle a mixture of bicarb soda and washing soda crystals or washing powder (2 equal mix) to keep odour at bay. Leave them for us to collect!